Tubelight has these 5 Salman Khan film records to break to emerge a true winner! Aamir Khan’s Dangal and Prabhas’ Baahubali 2 have changed the box office collection game forever! The humongous collections of these films have broken many records while make some new ones! 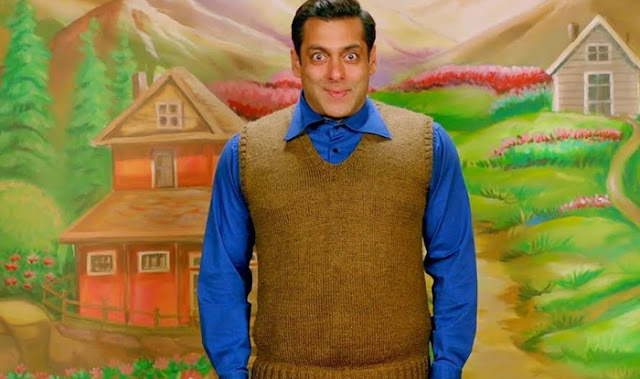 Salman Khan’s Tubelight is one of the biggest releases to hit screens post this box office upheaval. Naturally, all eyes are on how well the film, based on Indo-Sino 1962 war, fares at the box office. Tubelight numbers will be compared to that of Dangal (Rs 1983 cr worldwide; Rs 542.34 cr India) and Baahubali (Rs 1690 cr worldwide; Rs 510 cr India). However, this doesn’t bother Salman Khan, who plays the titular role in the Kabir Khan directorial. In an exclusive interview to India.com, Salman confessed that he doesn’t care about movie reviews or ratings and its effects of his film’s box office collection. Salman Khan fans don’t judge their star’s film basis the reviews and that explains the huge box office collections that the Khan’s films garner each time. In fact, Salman’s earlier films have some box office records of their own and Tubelight will have to break these first to emerge a true winner. Truly, Salman Khan is his own competition! Check out 5 box office records by Salman’s earlier films that Tubelight will have to break when it hits screen on June 23. Sultan (6 July, 2016): In its first weekend, which was also an extended Eid weekend in 2016, Sultan raked in around Rs 345 crore, making it the highest Bollywood grosser. Bajrangi Bhaijaan (17 July, 2015) earned Rs 333 crore worldwide in its first week, beating Aamir Khan’s PK worldwide record of Rs 332 crore. Ek Tha Tiger (15 August, 2012): Salman’s film raked in Rs 32 crore on the first day, becoming the highest opening collection in the history of Indian cinema and the biggest single-day collection ever. The prequel to Tiger Zinda Hai also had a record first week collection, Rs 137 cr, and became the fastest ever film to enter the ‘100 Crore Club. This record was previously owned by Salman’s own film – Bodyguard (2011). Dabangg 2 (21 December 2012) netted Rs 22 crore on its opening day, the biggest non-holiday opener beating the previous record held by Akshay Kumar’s Rowdy Rathore Rs 15 crore. Salman’s Tubelight definitely has some tough competition ahead of it. Albeit, from films starring the superstar Khan himself! Stay tuned to India.com for Tubelight occupancy and box office figures.